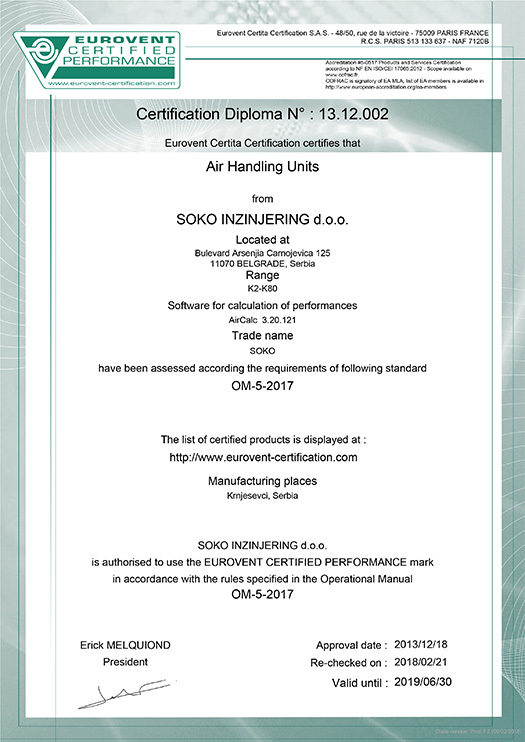 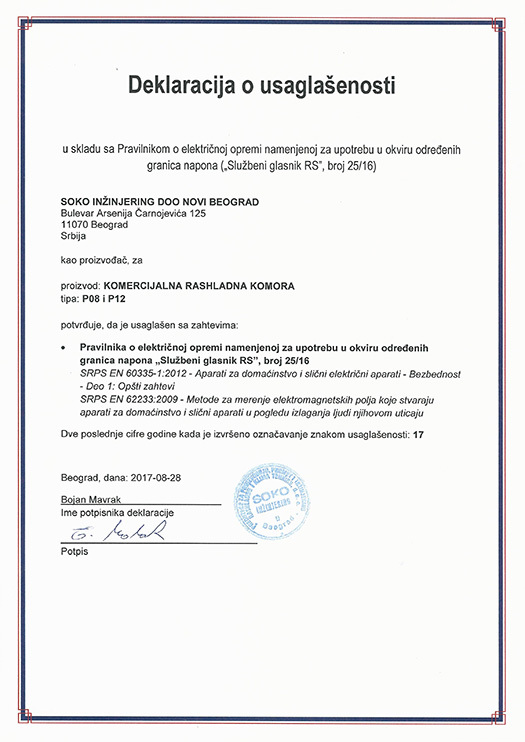 As a company completely directed towards meeting the needs of its clients and users, Soko Inžinjering has secured certificates confirming the quality of all its products. 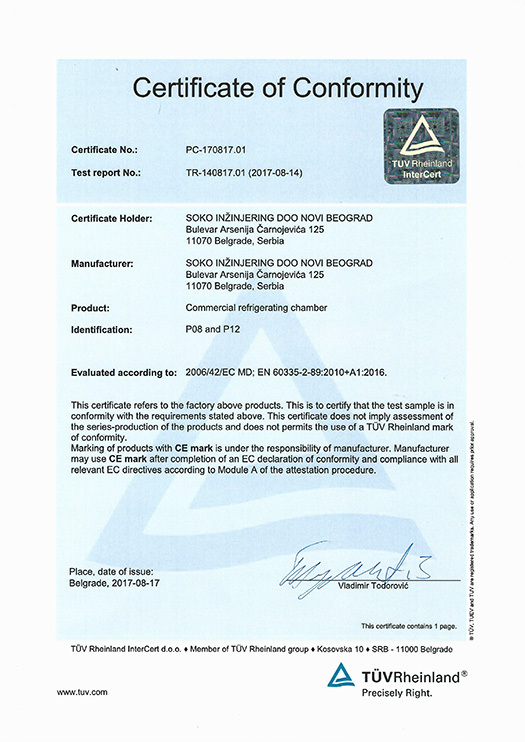 CE mark for the air handling units and cold storage, certificate of conformity of the product with the European directives. 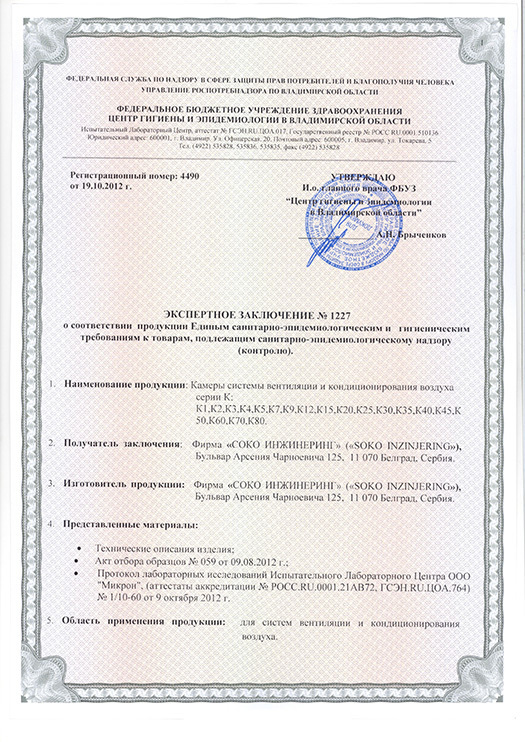 Gost Certificate for the hygienic air handling units guaranteeing that the air handling units meet the standards and provisions of the Russian market. 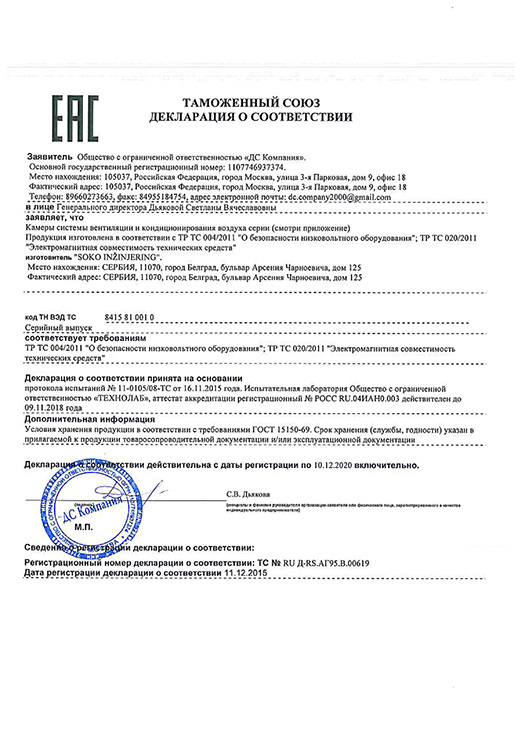 EAC Declaration of Conformity of the air handling units with the provisions of the Eurasian Customs Union. 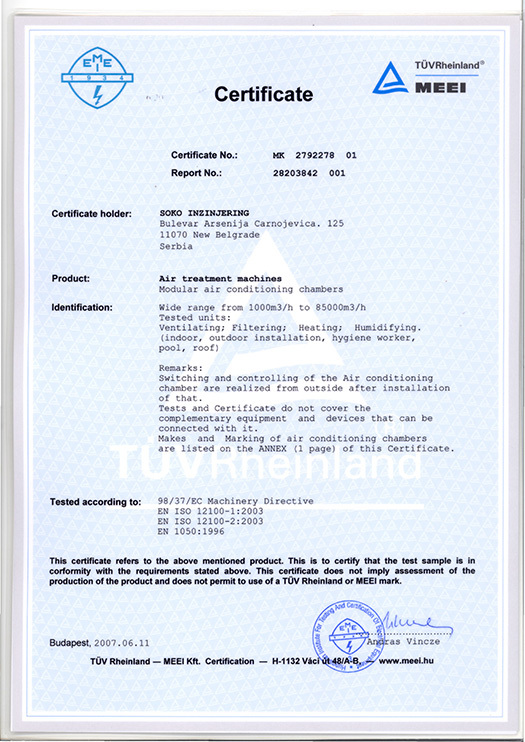 NSF Certificate for the cold storage and shelves for cold rooms, taking care of public health and environmental protection.